Whenever you think of "Expensive Food", Steak is usually the first thing that comes to my mind. Which is why I'm always on the lookout for a great place to have a steak, that offers me the best value for money. Although quality will also be first and foremost on my list of priorities, it is also nice to find a restaurant that you can go back to time and time again, without it hurting your wallet so much. 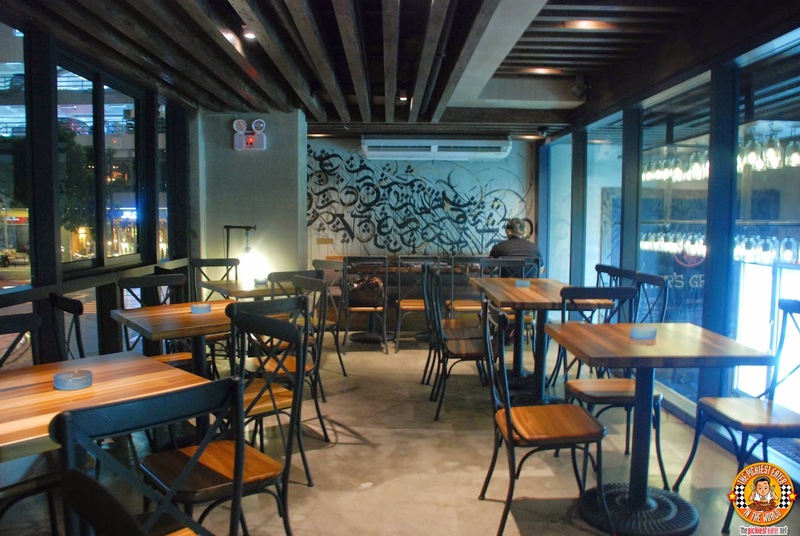 The Butcher Shop and Pub is the latest Gastropub to open in Manila. I'll be honest with you.. I'm not too big on the nightlife, but I love how these gastropubs have been sprouting around the metro. You see, I don't drink, but I eat like a bad mutha (Shutyomouth!). My friends find it difficult to get me to join them for a night of drinks, and they know that it is in the promise of some great food that may lure me out of my hiding hole. Usually, when they ask where we can go, I always choose a place to eat, but the selection of drinks aren't all that great, or could be expensive. Whenever THEY choose, it's usually with food so awful, I usually end up passing by for some drive thru fast food on my way home. The next time that they ask me for a suggestion, I know exactly what I'll suggest... The Butcher Shop & Pub. 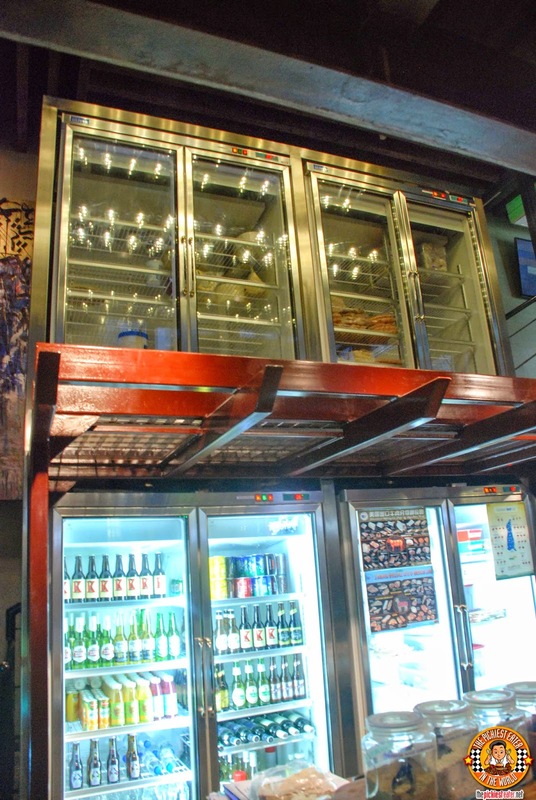 The Butcher Shop and Pub has the feel of an updated version of an English Pub. From the long wooden Bar, rustic tables and chairs, the stage is set for a nice night of food and drinks! 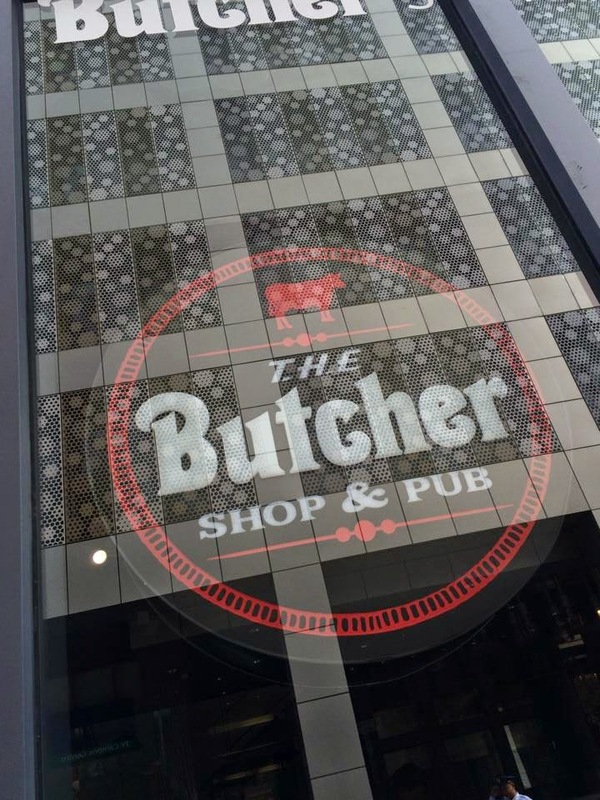 The name "The Butcher Shop" could not have been more apt for this Gastro Pub. Meat is delivered here every day, with the in-house butchers working their skilled knives over the required cuts needed. When we were there at the end of August, we were told that pretty soon, you could actually buy different cuts of meat here, making it an actual Butcher Shop! 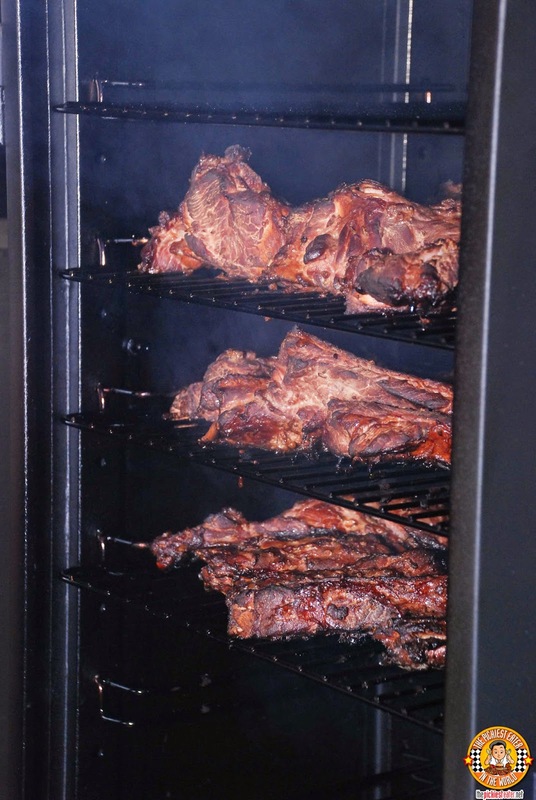 The Butcher Shop also boasts their own smoker for curing and smoking of their own meats, such as their Bacon and Corned Beef. 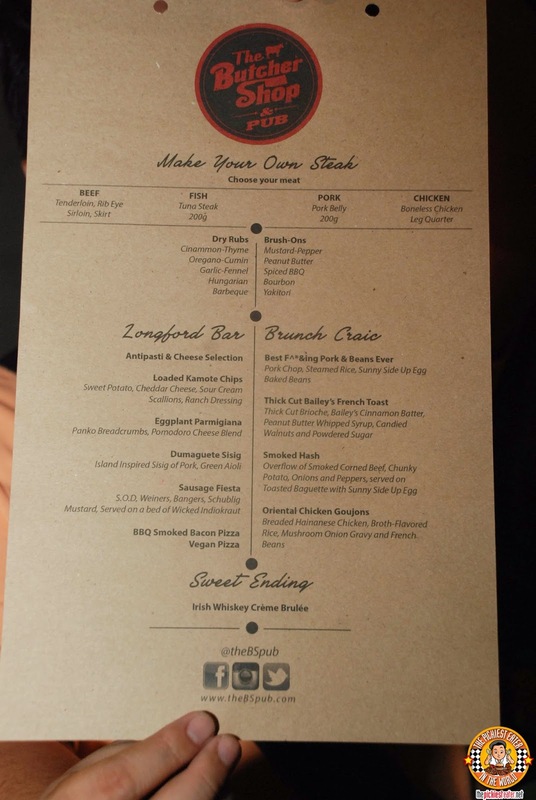 The beauty of The Butcher Shop begins with how you can customize your meal, to your exact specifications. First you start off by selecting your meat. If you choose to have a steak, your options are between Rib Eye, Tenderloin, Sirloin and Skirt. If you find Beef too heavy, then you may opt to have the Tuna Steak (200g), Pork Belly (200g), or the Boneless Chicken Leg Quarter. Next, you choose your Rub. 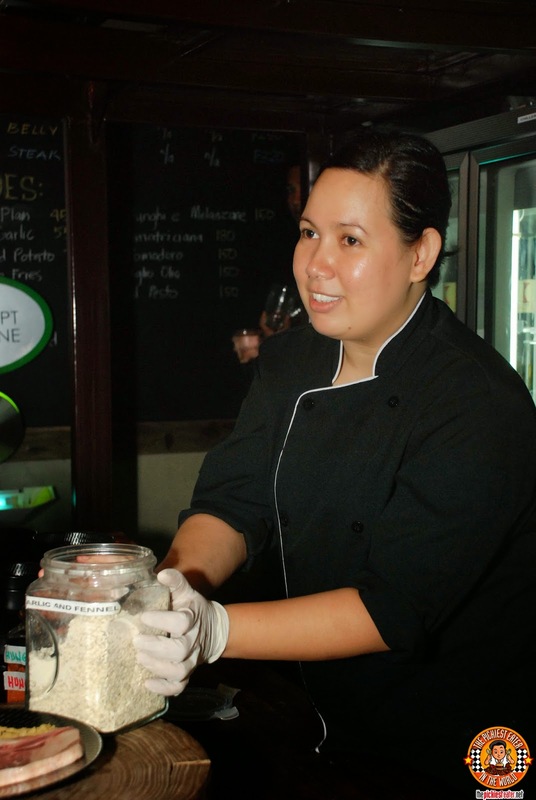 Chef Jane Adair explained the importance of choosing the right rub to suit your taste buds, and the ideal "Brush-on" to compliment your steak. The choices for Rubs range from the eclectic to the classic. The lineup of Rubs includes, Cinnamon-Thyme, Oregano-Cumin, Garlic-Fennel, Hungarian, Barbeque. The assorted Brush-ons include Mustard Pepper, Peanut Butter, Spiced BBQ, Bourbon, and Yakitori. But the Butcher Shop is not just about Steaks.. They have other dishes that are excellent as well! The Butcher's Bits and Trail Bites (P50) are something like Trail Mix on speed. 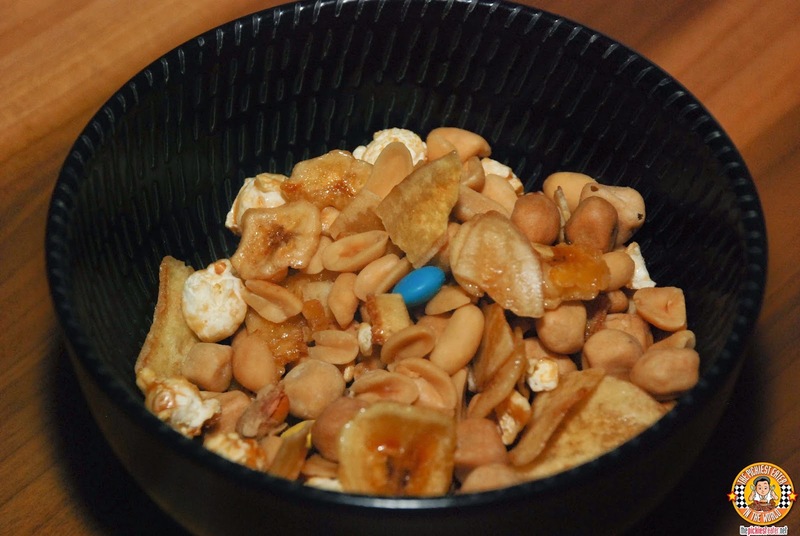 It was a mix of Peanuts, Banana Chips, Caramel Popcorn and M & M's. Definitely enjoyable Bar chow.. And this is coming from a guy that doesn't drink hehe. 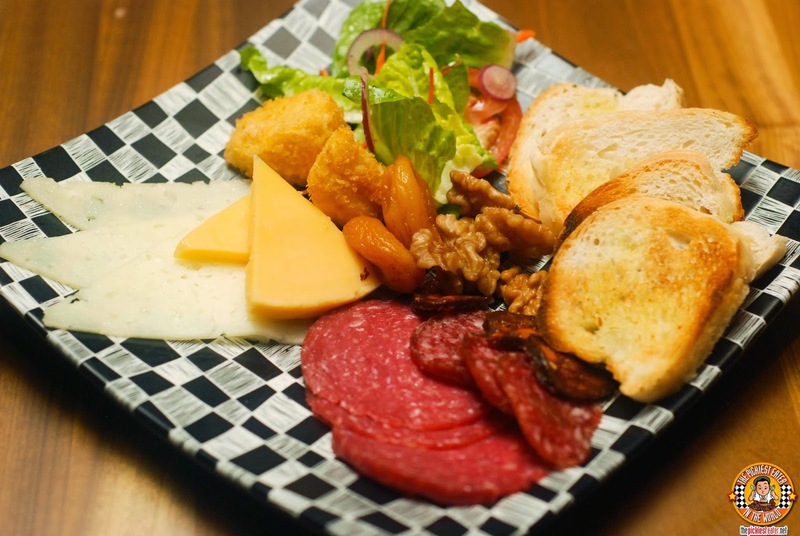 The Antipasti Selection (P400), is a platter with a medley of deli meats and cheese for you to choose from, with a small salad on the side and buttered toast. 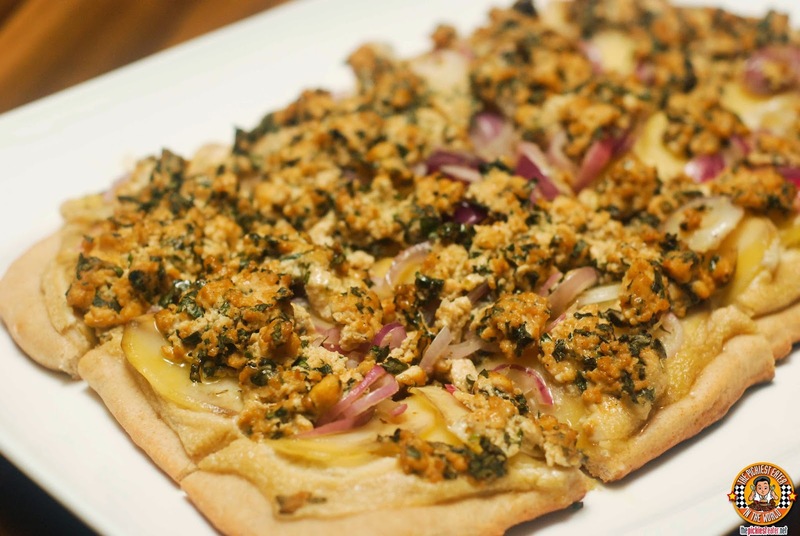 Great for warming up your taste buds, and pairs well with Wine. With it's great play on different flavors, the Loaded Kamote Chips (P120), is yet another nice way to start your meal. 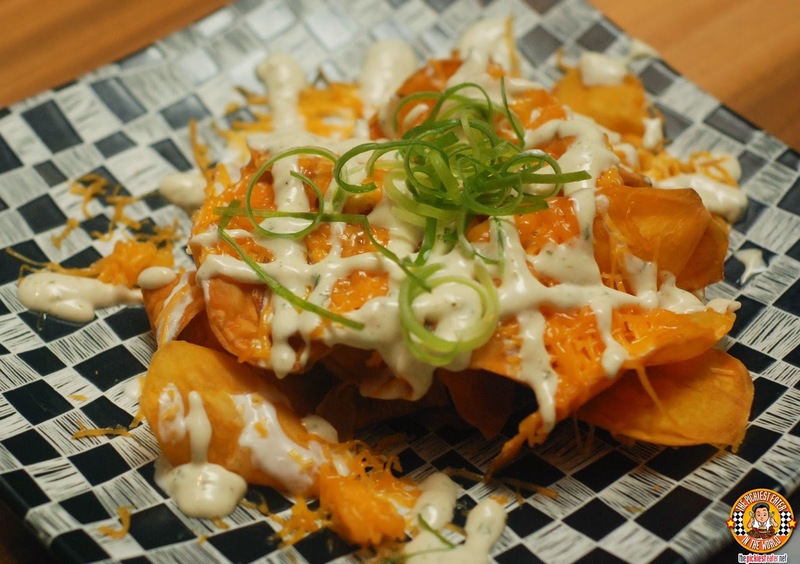 Paper thin slices of sweet potatoes are deep fried then drizzled with sour cream and ranch dressing, topped with shredded cheddar cheese and scallions for added oomph. 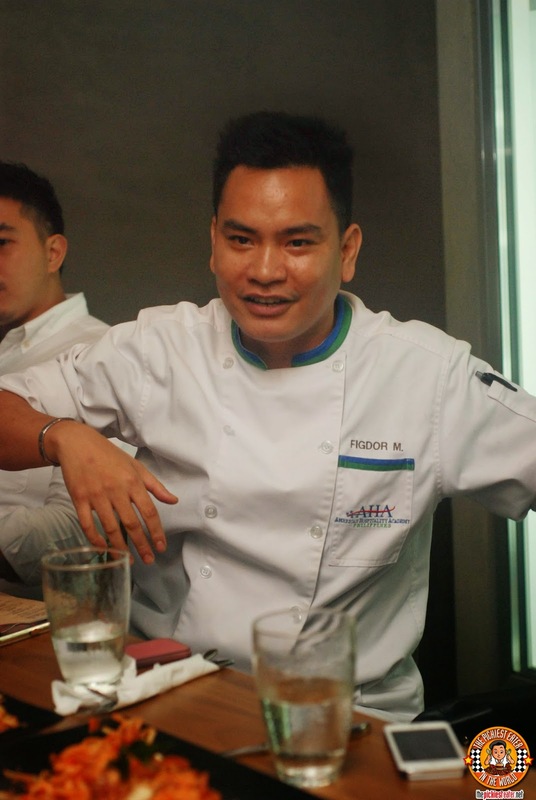 Executive Chef Michael spent a number of years in Negros, and wanted to invoke some of the tricks he learned there into his menu. The Dumaguete Sisig (P200) is the ultimate personification of that. Remarkably tender pork cheeks are soaked in a creamy, green chili aioli, that offers a nice touch of heat. 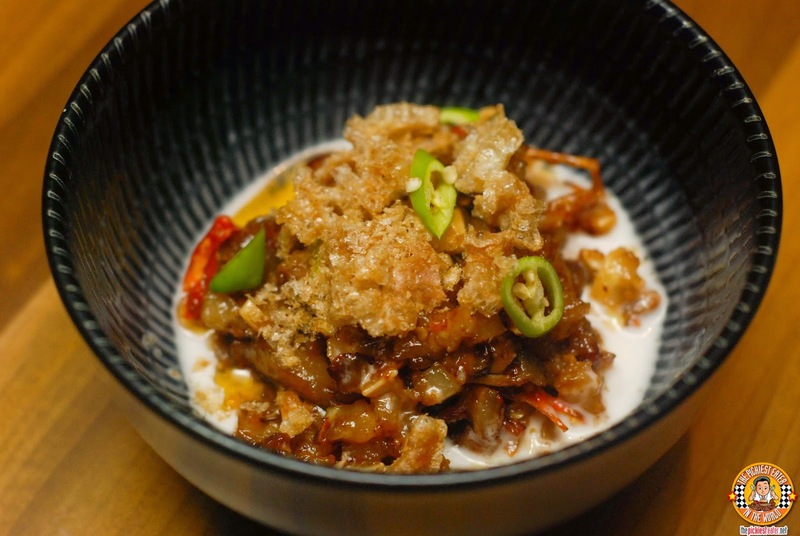 The sisig is then topped with crispy chicharon for an added crunch. As of thsi writing, The Butcher has two pizzas in the menu, with the first being the BBQ Smoked Bacon Pizza. 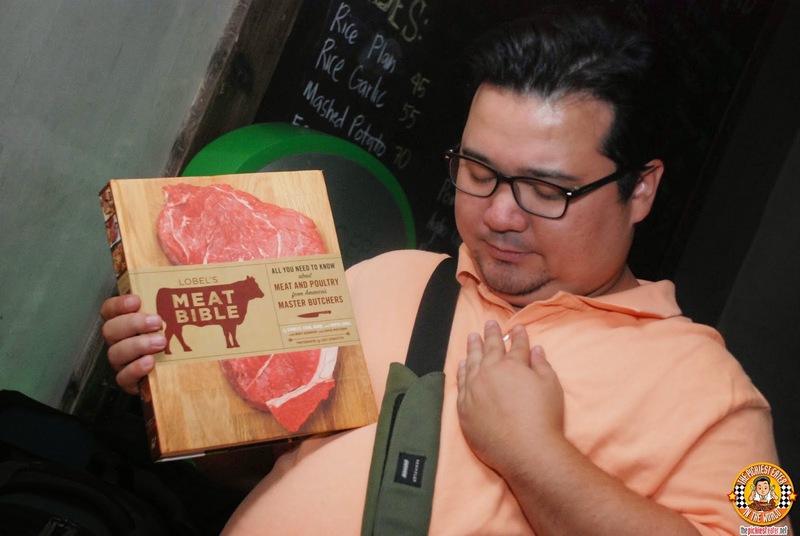 In terms of meat, this among the best you'll ever have in Manila. 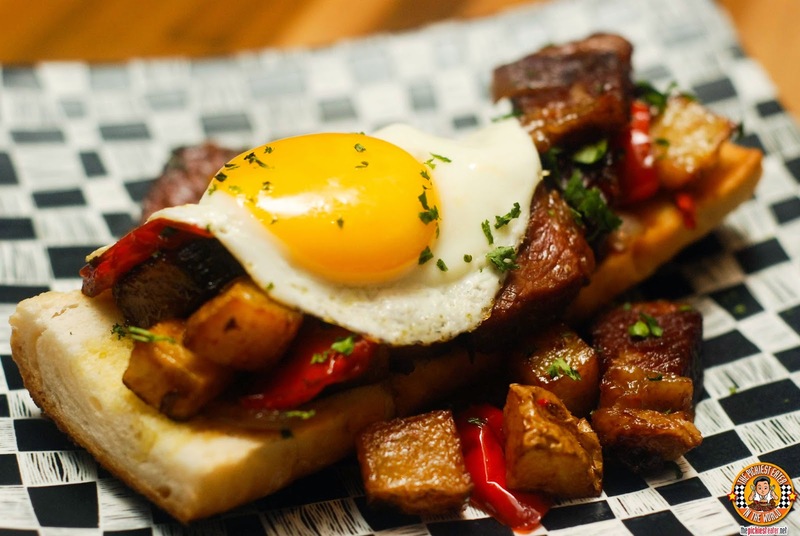 The in-house smoked bacon alone is enough to get you salivating. 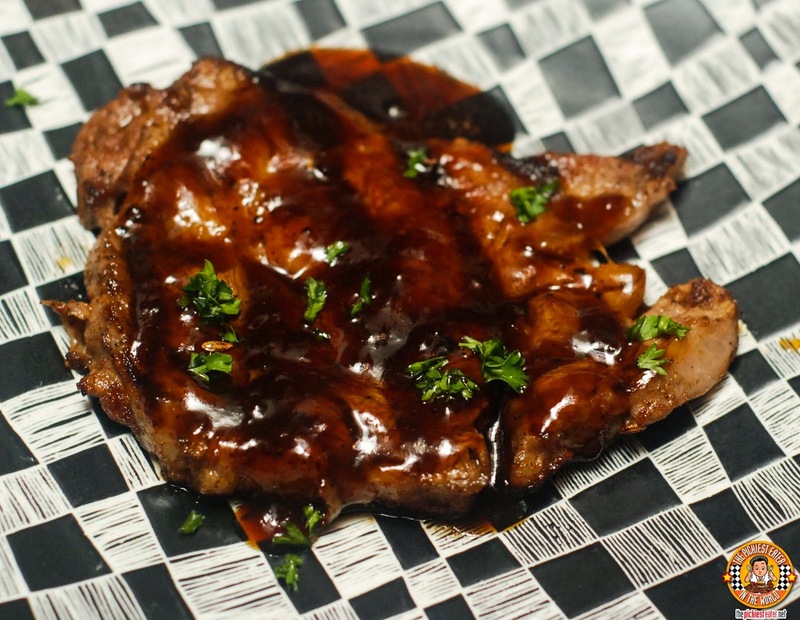 The lightly sweet, smokey BBQ Sauce, mixed with caramelized onions works wonderfully with the overload of meats. The Spaghetti Bolognese is The Butcher's take on the Italian favorite. 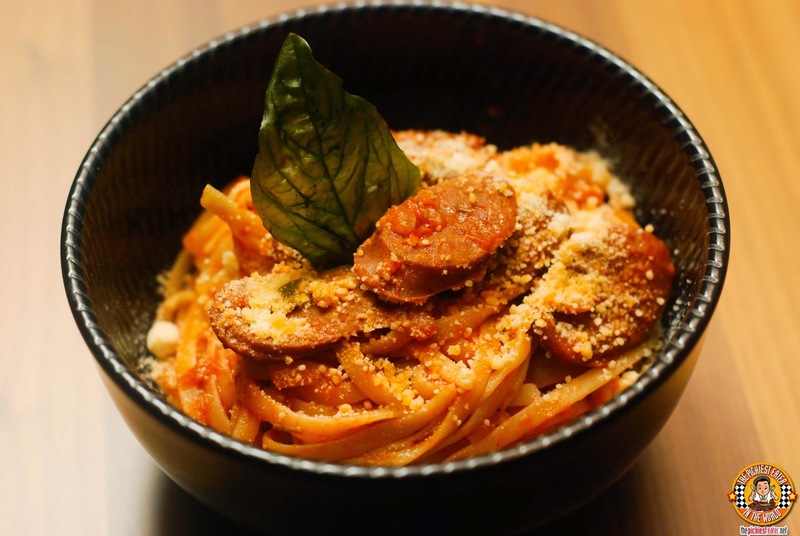 The strong acid on the sauce will get tomato lovers excited, and the slices of sausage adds a new dimension of flavor to the classic dish. Even though it was a vegetable dish, I found the Eggplant Parmigiana (P200) quite tasty. The Pomodoro Cheese Blend had a strong acidity to it, that melds well with the Eggplant slices, while the panko breadcrumbs adds a bit of texture to the dish. 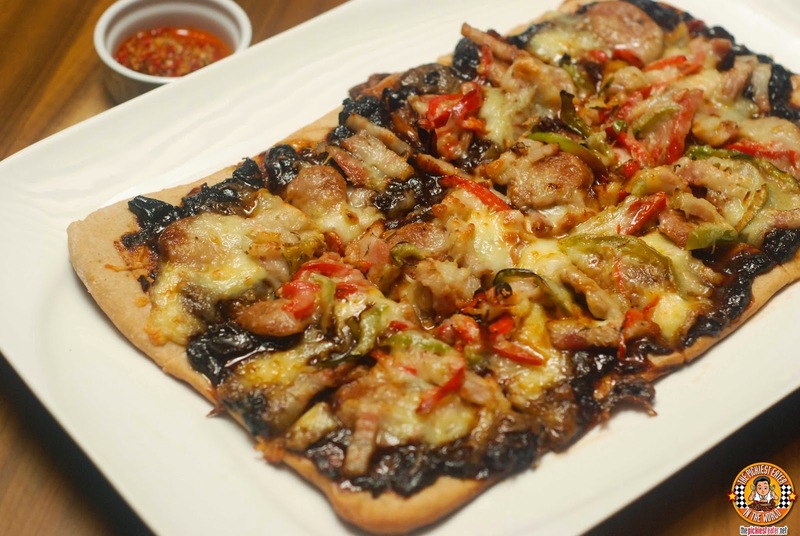 Sausage Fiesta (P 690), features an array of sausages that would make any German proud. 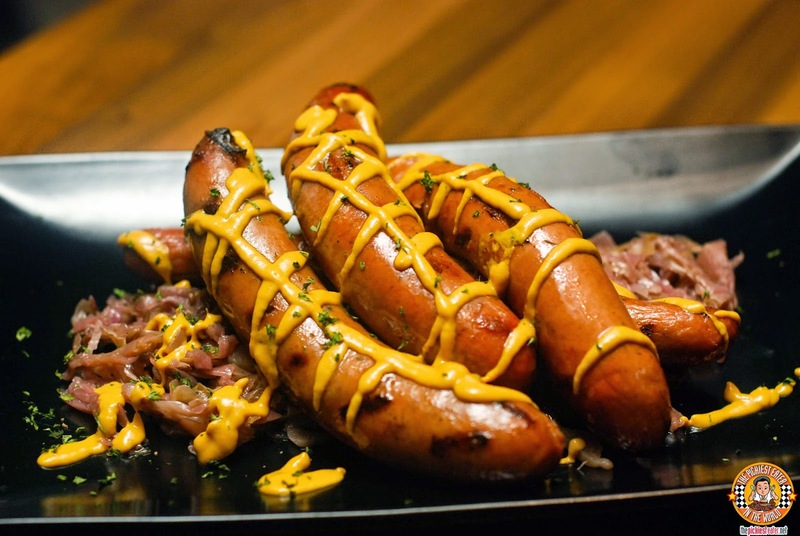 The platter consists of Wieners, Bangers, and Schublig, with a drizzling of mustard, and served on a bed of Wicked Indiokraut. 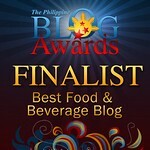 One dish that you should keep on your radar is the boldly named, The Best F^#%ing Pork & Beans Ever (P265). 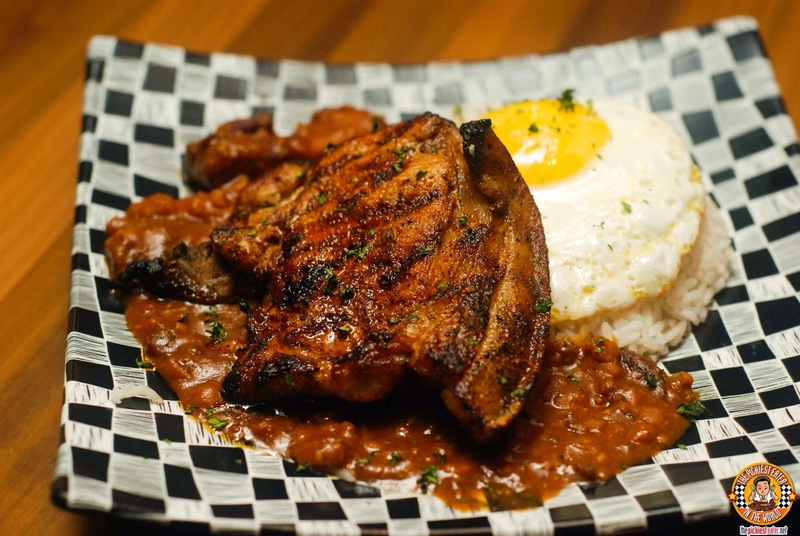 The beans are stewed in a sweet, smokey sauce, and served with a pork chop and perfectly cooked sunny-side up and steamed rice. All components - from the smokiness of the beans, the savoriness of the pork, and the creaminess of the egg, just work together wonderfully. I found the Oriental Chicken Goujon (P295), to be a rather inventive dish. 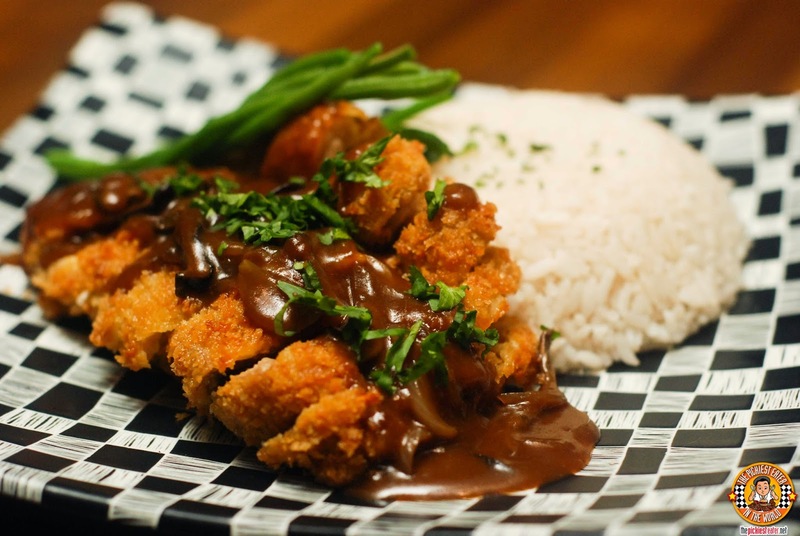 At first glance I thought it was Chicken Katsu, but I was suprised to find out that it was actually breaded Hainanese Chicken, smothered in a creamy mushroom onion gravy and a side of French beans. Completing the "Hainanese" experience, is the broth flavored rice that it comes with. One of my favorite dishes of the evening was the Smoked Hash (P250). Thick chunks of smokey Corned Beef, which was cured and smoked in-house, cooked with Potatoes, Onions, and Peppers, and topped with a glorious sunny side up egg, resting on a warm bun. 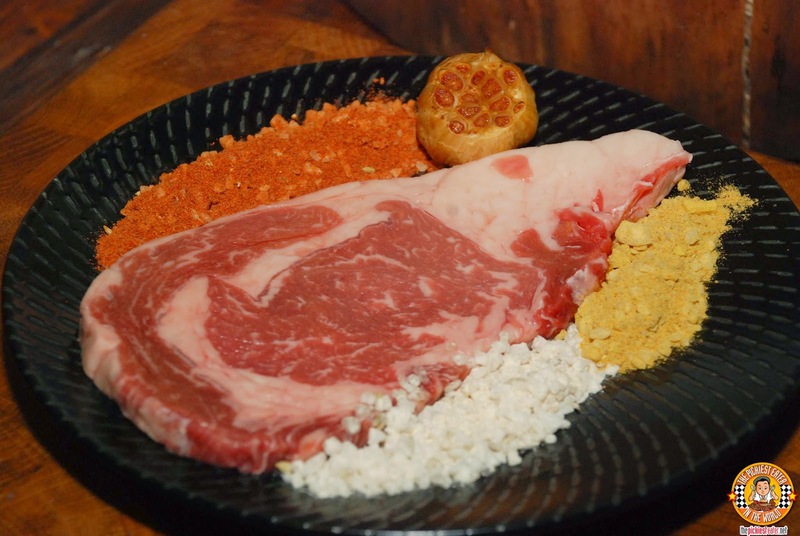 Rina chose the Rib-Eye with a Garlic-Fennel Rub, and a Yakitori Brush On. It was absolutely delicious. The immaculately tender beef worked wonderfully with the sublime sweetness of the Yakitori sauce. Not to mention the fact that her cut had a stunning marbling of fat to it. The Garlic Fennel rub allowed a more pronounced flavor to the natural savoriness of the beef. Although I also ordered a Rib Eye, I was a little disappointed with the cut I received. It was tender and moist, but I must have been left with the end, of the slab, so the piece I got was devoid of any fat, making it closer to lean tenderloin than the fattier Rib Eye that I was looking for. But nonetheless, the combination of my Rub and Brush-on kinda helped me forget about the cut I was given. I decided to be a little adventurous and try the unorthodox Cinnamon-Thyme Rub, with the Peanut Butter Brush-on. 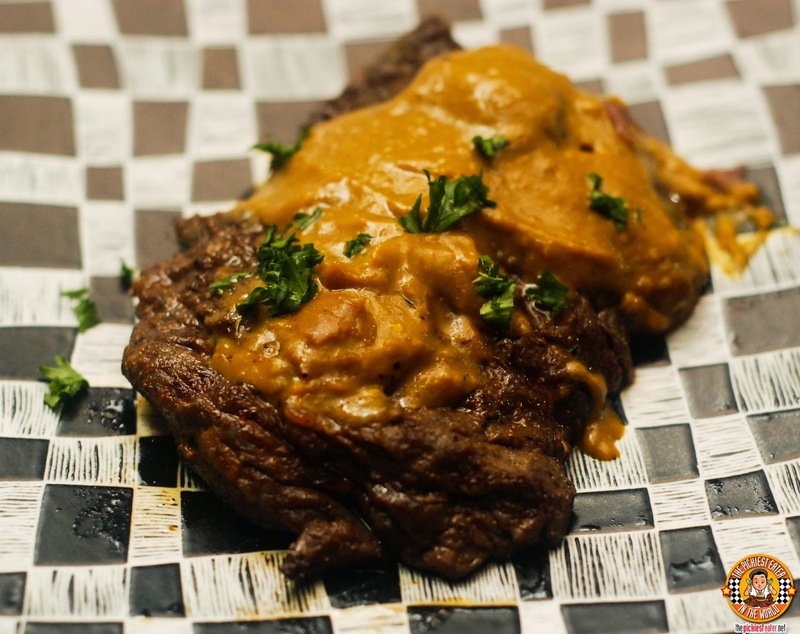 The Cinnamon gave the meat a touch of fragrance, while the sweet nuttiness of the Peanut Butter was quite comforting. As delicious as this was, I believe I would have enjoyed Rina's Yakitori more (Although things might be different if I had a different cut.. hehe.. Di maka-move on). Keeping up with the Gastro Pub vibe, we had the Irish Whiskey Creme Brulee for dessert. The perfectly torched crust is balanced by the smooth finish of the creme, with the Irish Whisky giving gentle touch of flavor. We were lucky to have no less than The Butcher Shop's Executive Chef Michael Figdor join us, to tell us a few stories of his many experiences in kitchens around the world! During our Visit, the prices weren't set yet, but the intention of The Butcher Shop was to keep the prices of the Steak within the Price Range of P700 to P850, which I feel is very reasonable. 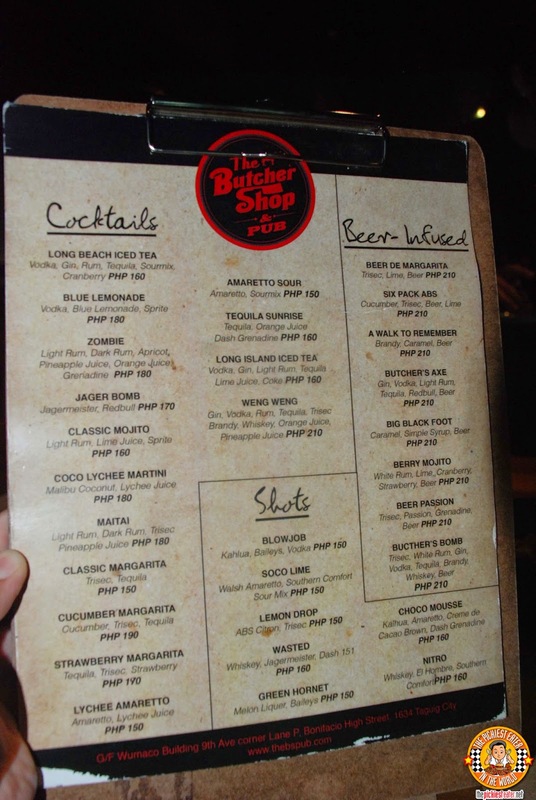 On the whole, The Butcher Shop & Pub is great place where you can enjoy delicious food and drinks with the gang, without breaking the bank! NOMAMA: RAMEN LIKE NO OTHER! 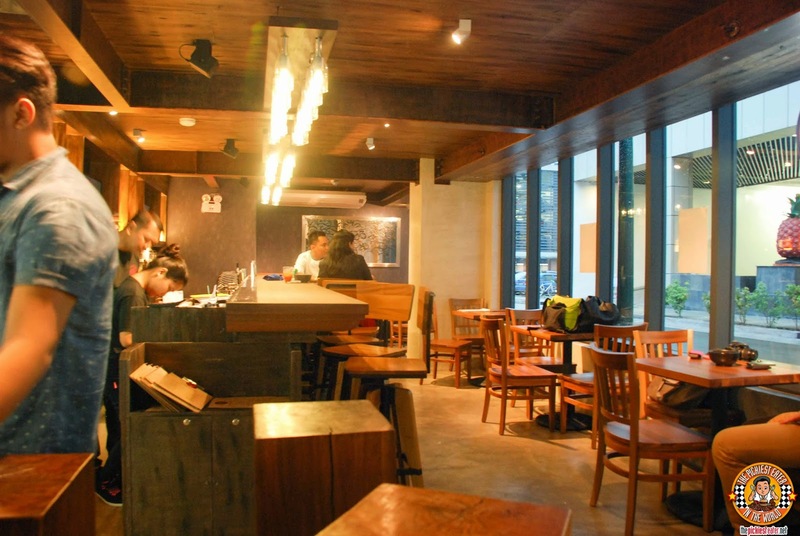 RAMEN GET YOUR LOVE: IPPUDO RAMEN, NOW IN MANILA! AN ISLAND FEAST AT BELLEVUE RESORT BOHOL!